Holy One Night Only! 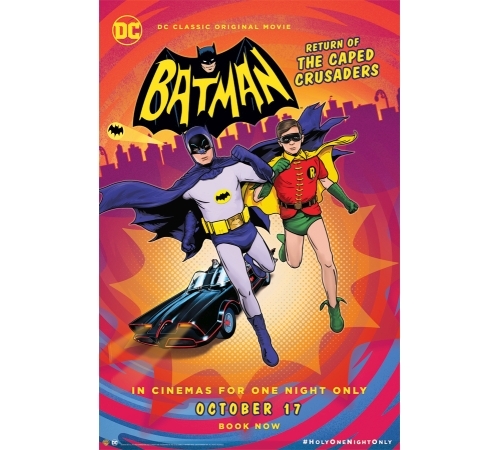 Batman: Return of the Caped Crusaders is coming in to cinemas nationwide TONIGHT for one night only. Starring the legendary Adam West (Batman), Burt Ward (Robin) and Julie Newmar (Catwoman) this is an evening not to be missed. The film will also be available on Blu-ray and DVD November 7 and Digitally from October 24.